In addition to some new visual upgrades for Xbox One X owners, Fortnite is adding in some new goodies for Battle Royale players. Fortnite's Fortnitemares event has come to an end, but Epic Games' sandbox survival carries on with a whole new update. This one should be of particular interest to Xbox One X owners, but Epic has a little something for everyone else, too. So what's the biggest addition? That's right, it's time for Smoke Grenades to hit the Fortntie Battle Royale mode. This is a non-lethal grenade that goes up in a puff of white smoke, obstructing enemy vision. Look for this object to randomly spawn as floor loot or show up across any container type. Pulsar: Accurate burst assault rifle. Burster: Pistol that fires powerful 3-shot bursts. Disintegrator Shotgun that fires balls of plasma. Blaster Powerful scoped heavy pistol. Sever: Light energy axe with a fast attack speed. 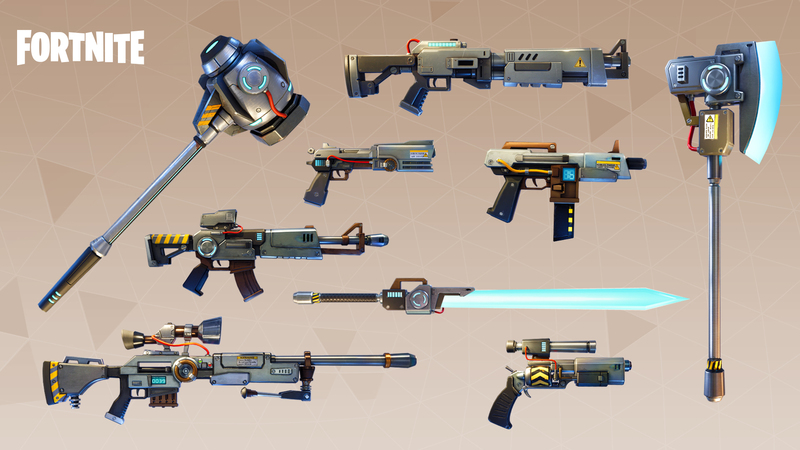 These weapons can be earned via event quests and event llamas. And of course, there are the aforementioned improvements for Xbox One X. That means a major resolution boost, giving Xbox One X owners a comparable experience to PC users running "Epic" quality. The Fortnite 1.91 patch is now live. For the full patch notes, visit the Epic Games website.